My name is Stacey Rae Steinwandel, I am the owner and Head Coach of Spotlight Studios North Star. I am what you might call a transplant to Idaho, though my family all originates from Coeur d'Alene. I grew up and finished my schooling in Oregon. I have a Masters from the Hatfield School of Government studying in the field of Public Administration. I have multiple undergraduate degrees from Portland State University some of which are in Political Science and Social Science, and a minor in Urban Planning. I graduated high school from Clackamas High School amongst many of the same students in which I started kindergarten; I feel privileged to have had the experiences of my youth within Oregon, but also that I am now be able to share them with the athletes and community of northern Idaho. I am now in a position in my life to coach and gym direct full time, devoting all my focus and energies to uplift the training for the inland Northwest in hopes of encouraging children to enter the sport of cheer safely and with skills that can lead them to scholarships in college or a career in the industry. 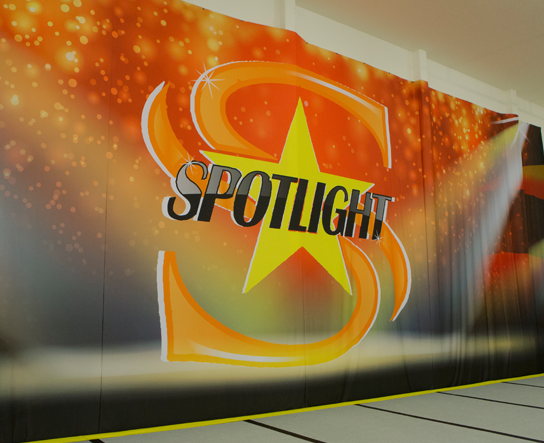 Spotlight is the home of championship titles from Pac West, ATC internationals, ATC regional, USA, NCA, Sea to Sky international, Spirit cheer, American championship and many more. Each season we retain the glory of our titles through the hard work of all involved- staff, families and athletes combined. I have always loved athletics and all physical activity that involves performing. I was an athlete in cheer from the age of eleven in All-star, and continued through high school and college. I began coaching at seventeen and now have coached for a total of 23 years - that has given me the greatest of life memories and technical experience. I have coached and administered all types of cheer programs at all age levels. I have coached junior high, youth recreational leagues, pre k, mini, high school, All-star and college age levels. I have head coached locally for LCHS and in some of their most competitively successful years been their competitive teams coach for four seasons, bringing home state, regional, and national titles during my time there. Here are just a few of my certifications: * NCA division I and II certified * USASF certified stunting Level five * USASF certified tumbling Level five * USASF certified tosses Level five * AACCA certified * First aid CPR certified, national center for safety initiative certified background clearance I have a great desire to share my knowledge and inspire new athletes to achieve their dreams of cheerleading as a team unified to face all tasks. It has been one of the most instrumental lessons achieved in my life and I hope to pass that to the next generation! I am the head coach for Spotlight's teams who have won numerous titles, PAC West Level and Grand Champion, ATC International and Grand Champion, American championship champion, Spirit Cheer champion, Sea to Sky International and Grand Champion, two time Worlds bid winner, multiple bids for the program to All levels, then D1 Summit; achieving six at large and three full paid bids, attended all five years and consistently a top ten finalist program..
Come Experience The Spotlight Difference. Get The Skills That You Want! We are a family oriented training facility. We have Teams and Classes for all levels. Our Coeur d'Alene location is conveniently located off Seltice Way just off I90 East from Exit 7 "Rathdrum/Spirit Lake/ID-41" and from I90 West at Take Exit 11. Spotlight Studios has been building an All Star Cheer Family, serving our surrounding communities since 2008. 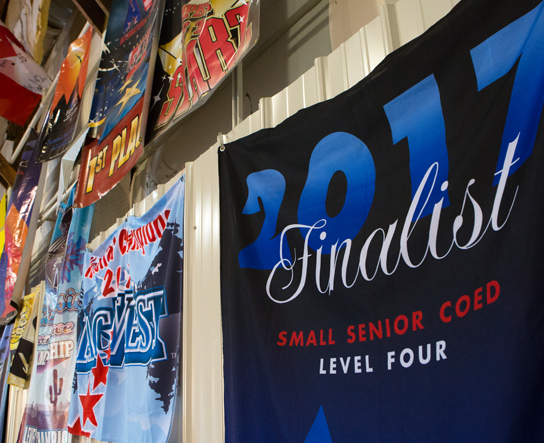 Our Competitive Teams are considered some of the best in the nation! We offer affordable Classes and Private Lessons. Come check us out for a Program Overview. There is a Team for Everyone at Spotlight Studios. Drop in and see us! When you want the skills to be the center of attention come train with us! Each season has been filled with great success and so much winning. Our Athletes work hard and it shows at every competition! *To be a SUMMITT BID winner you must be ranked as the top ten percent of the nation's teams. Congratulations to all of our Spotlight athletes!